nice with my ex and his perfect new girlfriend. with the Frenemy if it helps me get the job done? The thing about weddings…nothing ever goes as planned. alone with no cheating or cliffhangers. No one combines swoon and sarcasm quite like Pippa Grant! I mean, who knew insults could also be sweetly hilarious?! 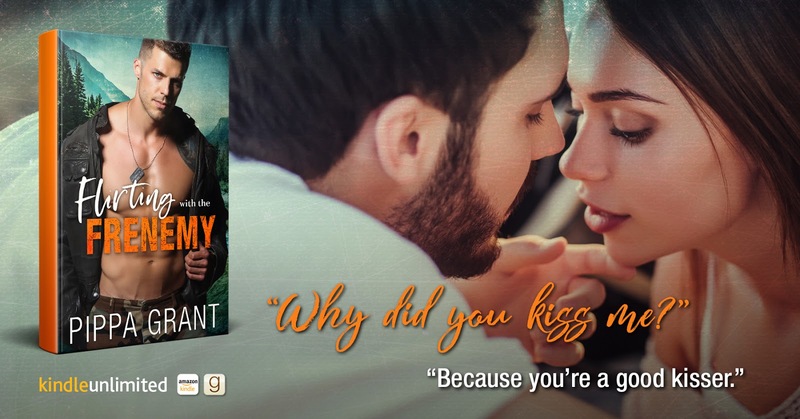 Flirting With the Frenemy will keep you laughing and your heart melting from start to finish. 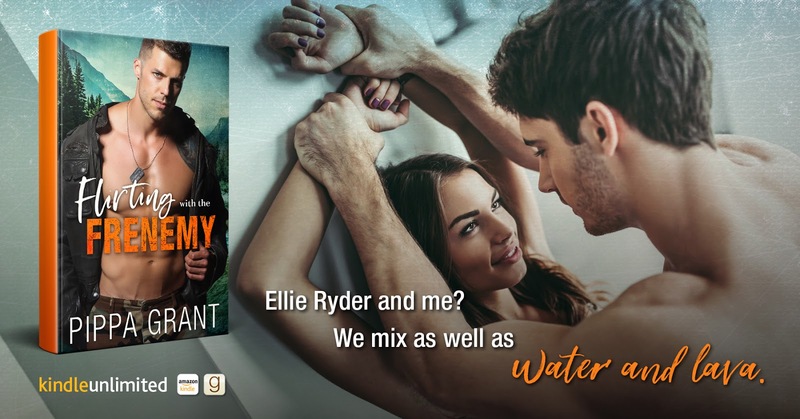 I laughed so hard while reading this I had tears running down my face and then I was happy sighing just as much from how much I adored Wyatt and Ellie!This is definitely one of those reads where you’ll be smiling nonstop. The chemistry these two have is nothing short of electric with sparks flying like crazy every time they’re near each other. All those sparks and all the fantastic banter don’t take away from some seriously, at times hilariously, sweet moments that steal your heart. 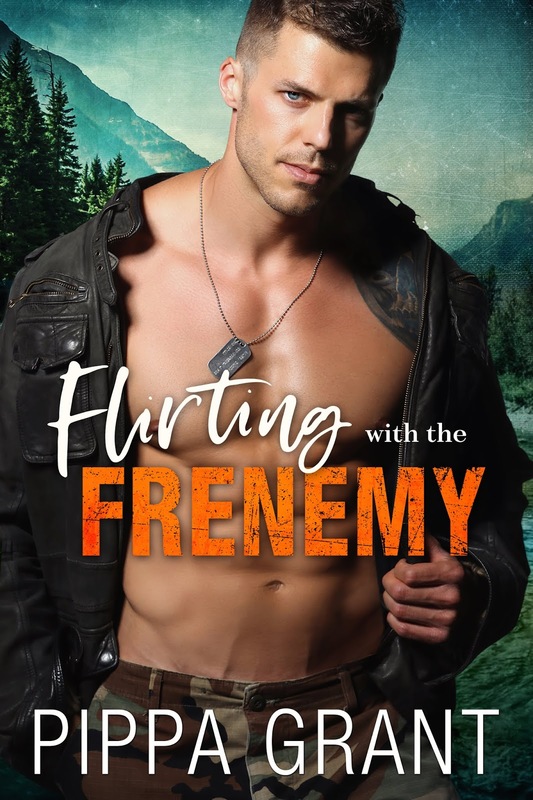 Flirting With The Frenemy is full of laughter and hesitancy. I always have tears running down my face from laughter with Pippa Grant’s books. This one was no different. She gives us tons of laughs but she also gives us tons of emotional change in the characters. Ellie is super fun. She may have let a few things hold her back a bit, but shes full of life and sass. Her quick wit and banter with Wyatt showed how sassy she could be. 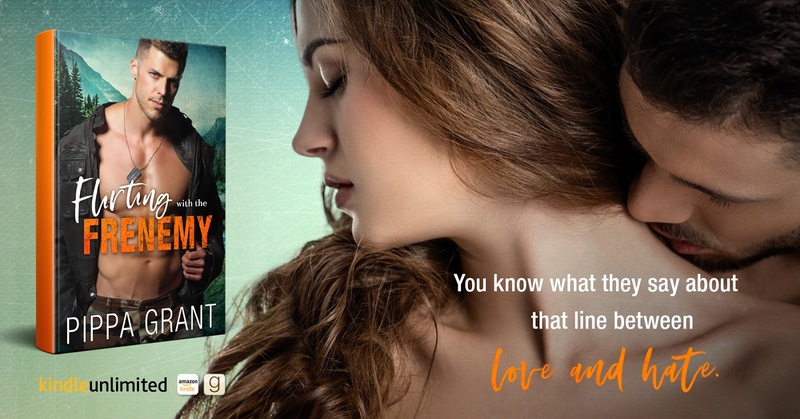 Wyatt is at a crossroads dealing with a lot, but he makes sure to always put his son first. He’s a great dad and a great guy. If you’re looking for the perfect romantic comedy, look no further. Between hunting for a peg leg, two people who are cursed by the universe, a foul mouthed parrot, and an adorable little boy you will have fun for hours with Flirting With The Frenemy!